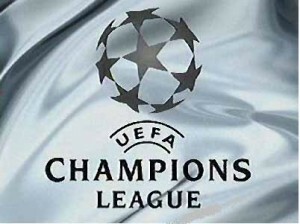 Driving across our fair burgh and listening to my I-Pod this morning, I chanced upon the Sportsound Podcast of 24 August – just after the draw for the group stages of the Champions League. The panel for the evening included 2 of the usual suspects in Steven Thompson and Michael Stewart with the St. Johnstone manager Tommy Wright making up the professional pundits. 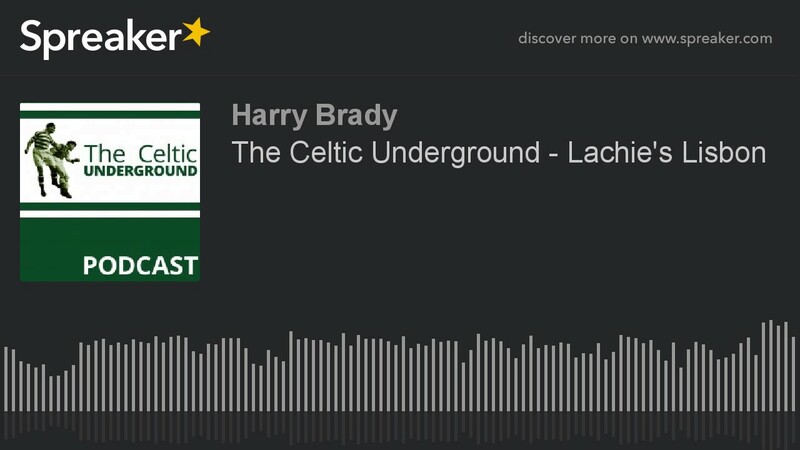 The main topic of the discussion as far as I listened, was Celtic’s prospects of progressing in Europe after Christmas either in the Champions League or the Europa League. By common consent it was held that our best chance of seeing European Football in the New Year lay in the latter, a view which even the most enthusiastic Tims would find hard to disagree with. While the former Dundee Utd, Rangers and St Mirren player thought that this was our only hope, our ex Manchester Utd, Hearts and Hibs representative made a case for Celtic seeing the knock out stages of the big cup should they win their home games. The chat was standard fodder, the sort of discussion which was probably going on in homes, pubs and workplaces throughout the land a mixture of reality and hope in equal measure. 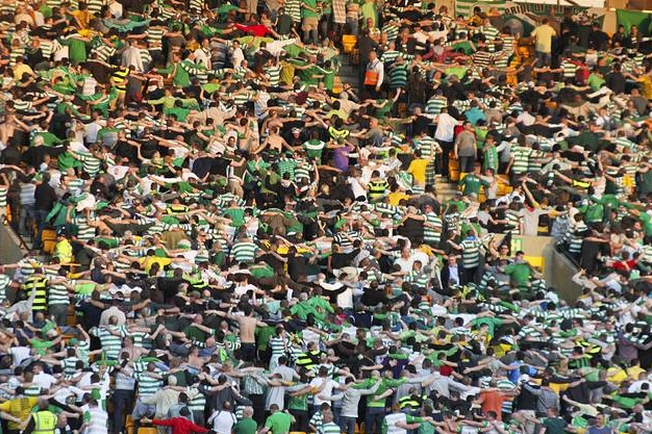 What gave me reason for pause however was the thesis which is often poured out that Celtic Park is some sort of fortress and that our best hopes of success lie in our home stadium because of the atmosphere, the crowd etc.. The usual cliches which are trotted out whenever Celtic and their iconic ground are discussed. Few people are more adept at spreading this myth than the club and we who follow it. In domestic terms there is more than a germ of truth in this belief , but I use the word ‘Myth’ advisedly when it comes to Celtic in Europe. Lest I upset those whose sense of the club is intrinsically linked with the ‘greatest supporters in the world’ mantra and the notion that giants of the game quake when they enter the arena and hear ‘You’ll Never Walk Alone’ being sung, I should state that down the years I have followed the club there have been some Herculean feats against European giants at Celtic Park, epic victories which we still relish and laugh over years after the event. These however can be weighed against nights of extreme disappointment and frustration when our dreams have been dashed, often clinically, in a way which makes us aware of our real place in the playing pecking order. Yes, Celtic may well be one of the iconic clubs of world and European football for a variety of reasons, but we are often reminded of our place where it matters – on the field of play. There are many reasons for this which don’t need rehearsing here but we all know what they are. What struck me about the BBC podcast was the lack of real attention to facts when it came to analysing how we might do. The problem of our lack of quality at central defence was a key element of our panel’s deliberation and the need, which clearly wasn’t met, of buying a new Centre Back before the window closed, According to 2 players who were never more than decent journeymen we have no Centre Backs capable of playing at the highest level of the game – that is, after all, what the Champions League presents. To be fair to Michael Stewart he pointed out that this problem is not peculiar to Celtic, that there is a dearth of quality in that position even amongst the top clubs. As an aside, I have long argued that the EPL pays outrageous wages to some of the poorest defenders in world football when one considers the context in which they play, a fact which was borne out in the recent Scotland v England game when our eccentric little striker from Edinburgh gave England’s finest central defenders an absolute chasing, even discounting his 2 fine goals on the night. So clearly Jozo and Dedryck Boyata aren’t up to the task facing them, and comparisons were made with recent seasons where, according to our pundits, Virgil and Jason Denayer had shown how it should be done. I am an admirer of both these players, but we would be kidding ourselves on to believe that on their watch our back line was impregnable and that life on the European journey was a smooth and prosperous ride to glory. Virgil was not always the rock folk fondly recall, and indeed got himself sent off after 36 minutes in the Stadio Giuseppe Meazza stadium and Jason was injured for much of the European campaign in his year with the club. Apart from this in Celtic’s last 3 European campaigns – group stages – Celtic park has been a fairly hospitable place for visiting teams. In 10 home games we have won twice and drawn 3 times losing on five occasions. Despite the widely held belief that we are crap on the road we have drawn 6 and lost 4 of our last 10 away games. The 2 home wins came in our first season in the Europa League where we got to the knockout stages only to lose to Inter Milan 3-4 on aggregate. The point of this musing is that you cannot predict how things will go based on myths about home form, away form, or the durability or otherwise of past versus present players. We are in the Champions League which may well be a level above us in terms of the quality of player we can attract, but we are there and the future will depend on the collective not on the individual. 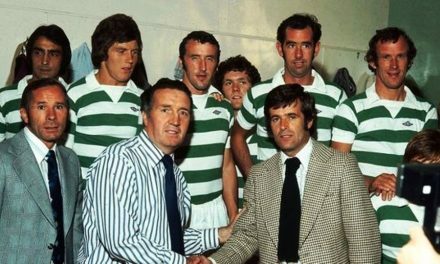 Tommy Wright actually made the point that teams in Scotland could not get at our ‘weak’ back four because the team defended as a unit, but he seemed to suggest that this would not be the case in Europe. I would differ from this view and suggest that if we have any chance it will be precisely because the collective which Brendan Rodgers is attempting to build does work. I suspect we may surprise some people. We have good players, some of whom may yet prove to be great players, and if they work as hard, if not harder than our more glamorous opponents, they may – I repeat may – surprise us as well. NextWhat Are You Hiding Mr Regan? I fully agree, Harry. I would expect a majority of the PSG/Bayern games to be played with at least eight men behind the ball. In such a circumstance I would expect the back line to be firmly in place with the addition of Ntcham and Broony providing back up. The key will be concentration for 90 odd minutes.